Earthquake activity has spiked in the North of the Netherlands recently. This is caused by gas extraction in this region. This graph shows the explosion in the number of earthquakes from 2004-2013. 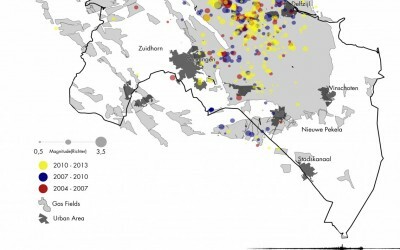 Induced earthquakes in the Netherlands infographic by Jdrewes.